Dan Bilzerian has responded to a marine who criticised him for running away from the deadly Las Vegas massacre. The Instagram famous poker star was caught up in the mass shooting which was the deadliest in recent US history seeing 59 people killed and 600 injured. Earlier this week US war hero Dakota Meyer slammed Bilzerian for fleeing from the chaos and filming instead of helping the injured. A video emerged online earlier this week showing Blilzerian running away from the shooting describing the horrific scenes he witnessed. The poker play could be heard saying ‘holy f*ck this girl just got shot in the f*cking head’ and that he was going to go back, get his gun and then return to the scene. 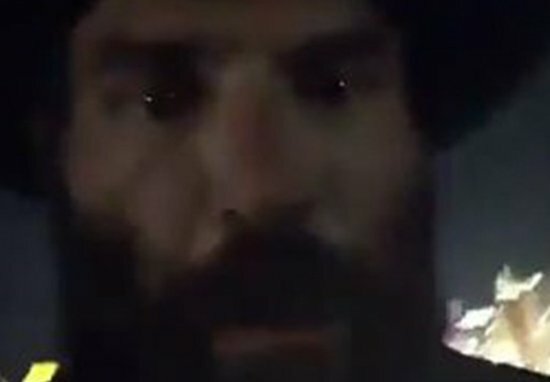 Another video then emerged showing Bilzerian returning, begging police to give him a gun so he could help take down the shooter. In the footage Bilzerian appears to get his wallet out in an attempt to show police that he has the right to use a gun. He can also be heard yelling ‘give me a gun’. Get the f*** away from me right now. I don’t care. I don’t know who you are. Not everyone was impressed by Bilzerian’s actions, particularly veteran Meyer who slammed the poker star in an Instagram post. Meyer, who was awarded the Medal of Honour for his service in Afghanistan, claimed that Bilzerian should have stood his ground and helped the injured rather than run away. Dan Bilzerian this is what kills me about people like you. Always playing “operator dress up” and so, so tough when the cameras are on. A woman just got shot in the head and you are running away filming; that’s not what operators do. Please stop trying to be someone your not. People are dying, you’re running away not helping them and pretending it’s worthy of a video is disgusting. 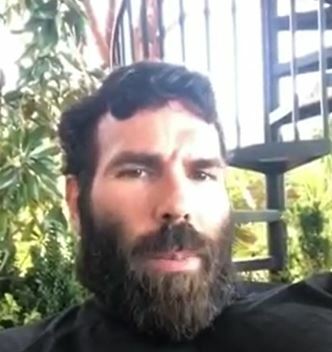 Bilzerian has now responded in an angry video posted to his Instagram story. So I wake up this morning and the news is talking s*** saying that some marine was saying that I was a p**** for running away and I should have stood my ground. So if we follow that retard’s logic we’d probably have 600 dead if everyone stood their ground. He’s there blogging about me while I’m there delivering 8,000 pounds of food and water in Vegas and going to hospital. Just to be clear, the first f***ing thing I did after we dropped those two girls to hospital was I went and got my gun and I went straight f***ing back there and I was there for three f***ing hours. Although many saw his point, some were once again quick to criticise, being particularly unhappy with the fact that Bilzerian just called someone who has an actual medal of honour a ‘retard’. Did @DanBilzerian really call MOH recipient @Dakota_Meyer “some Marine” and a “retard”? Anybody who would “go back and get their gun” and bring it to an active shooter situation is the “retard”. It’s a great way to get smoked. Others called the response ‘low’ and ‘trash’.